Subcase takes place across several venues in the Stockholm region. The main venues of Subcase are on the Subtopia grounds. The registration desk, your first stop when you arrive at Subcase, is in Hangaren. By car: The easiest way to get to Subtopia is road E4/E20. Turn off from the highway at the sign for Alby/Tumba. At the roundabout follow the signs to Alby and Subtopia. 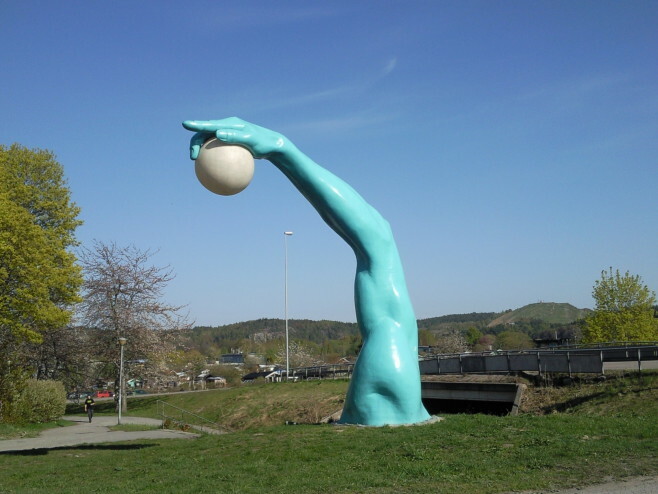 The big blue arm sculpture marks Subtopia’s main building. If you go another 250 meters you come to Hangaren. Taxi: Ask for Rotemannavägen 10 for Subtopia, and Albyvägen 38 for Hangaren. For travelling instructions for the other venues, please contact us.